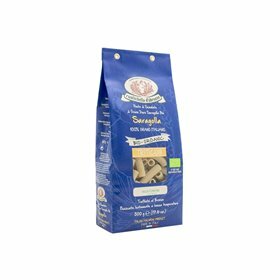 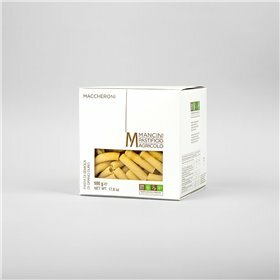 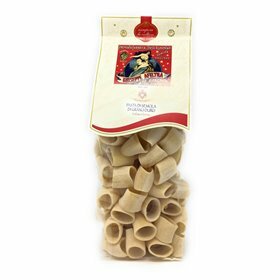 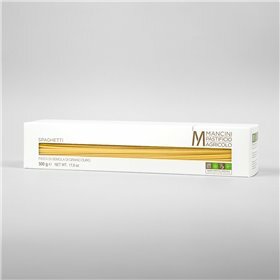 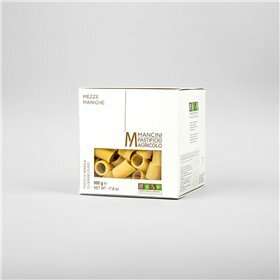 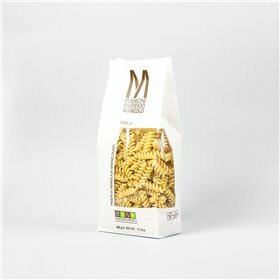 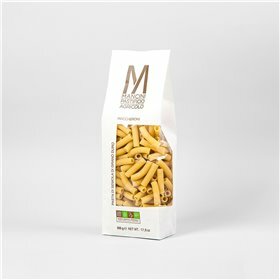 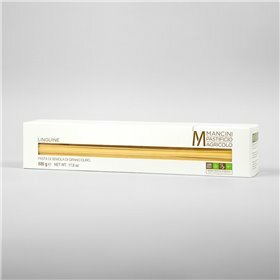 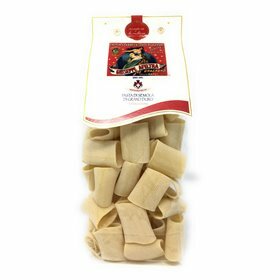 Durum wheat semolina bronze drawn pasta and dried at low temperature. 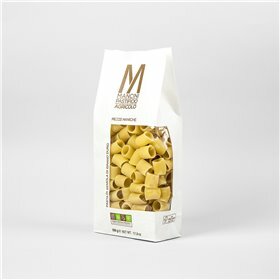 500 gr cardboard box. 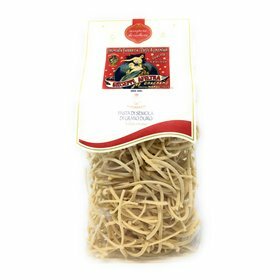 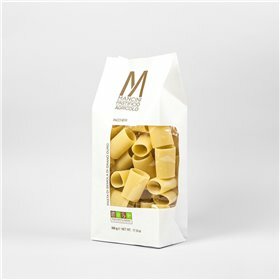 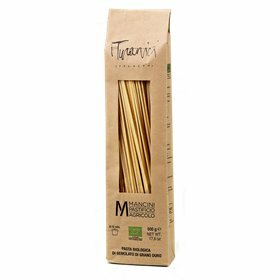 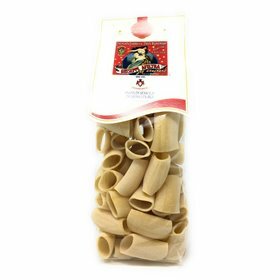 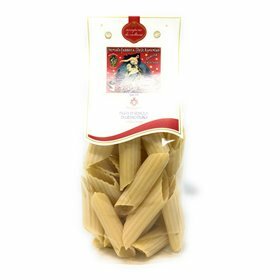 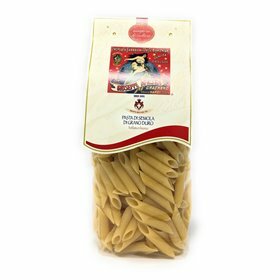 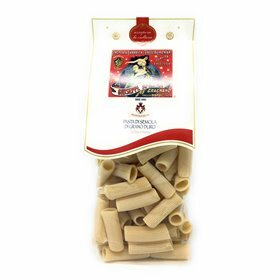 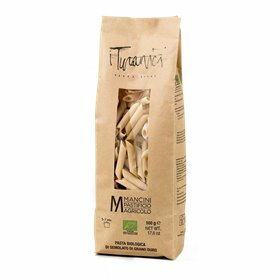 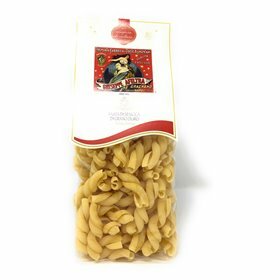 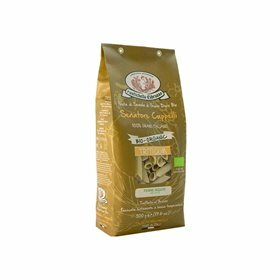 Our pasta is produced from durum wheat cultivated directly by the company. 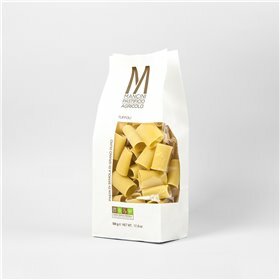 Semolina and pasta are the only ingredients. 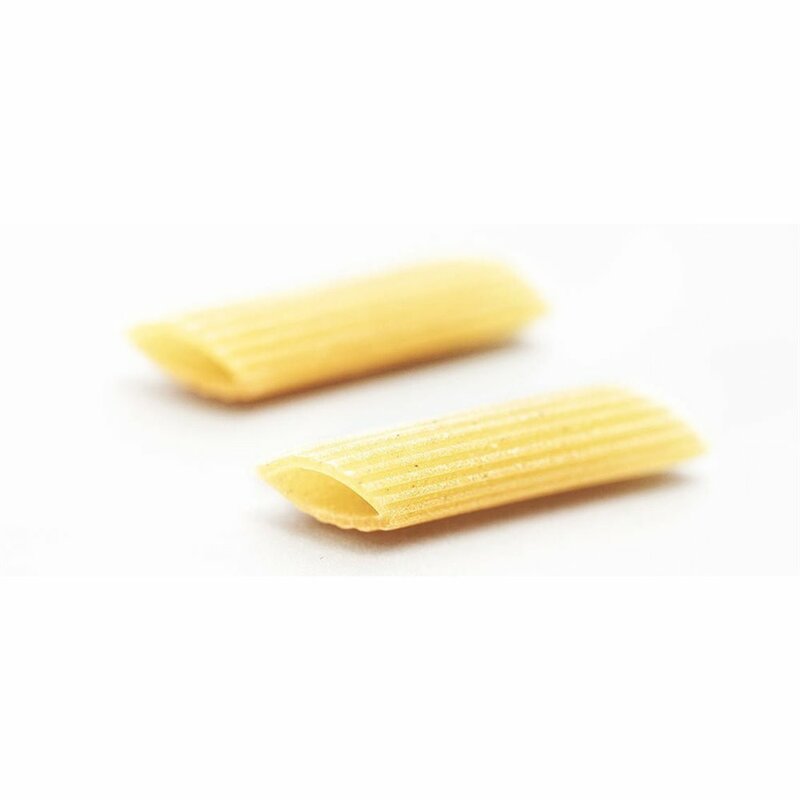 We use circular bronze die plates and we dry pasta at temperatures lower than 44°C, taking about 20 hours for short pasta and about 40 hours for long pasta. 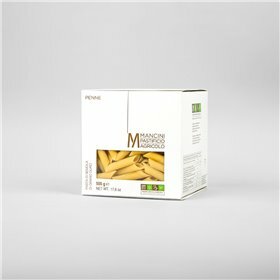 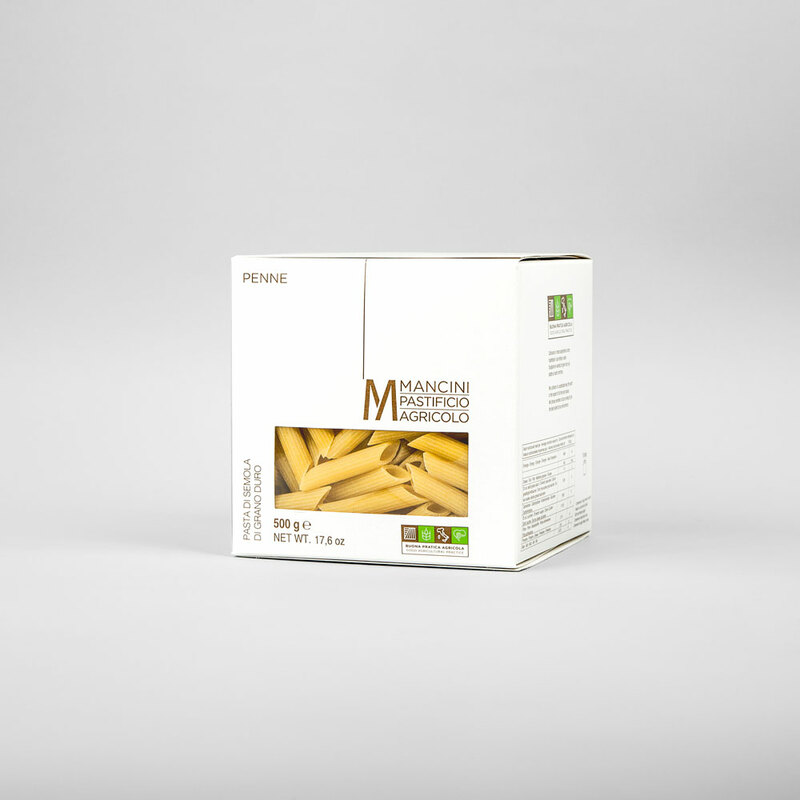 Penne have a diameter of 12 mm and a length of 45 mm. 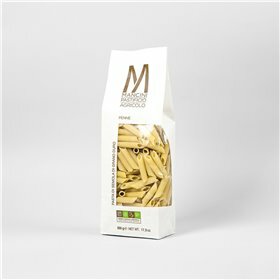 Their cooking time is between 7 and 9 minutes.